An investment in Canada can easily prove to be one of the safest moves an entrepreneur can make. Not only does Canada have a long tradition of respect for private property rights it has one of the most stable political systems in the world. 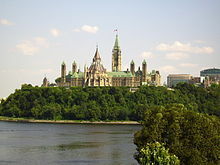 As a former French colony until 1763 and later a British colony right up to 1867, there is a strong presence of both cultures in modern Canadian society. In the annual report of economic freedom produced by the Fraser Institute Canada ranks 8th tied with Bahrain. In the 2014 Index of Economic Freedom, the Heritage Foundation in conjunction with the Wall Street Journal ranked Canada 6th. Only the nations of Hong Kong, Singapore, Australia, Switzerland,and New Zealand in respective order rank higher. 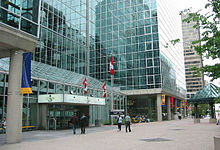 Canada is ranked 17th in the Ease Of Doing Business Rank created by the World Bank. 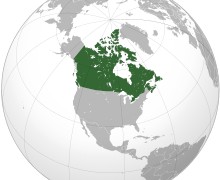 The nominal Gross Domestic Product (GDP) of Canada is estimated at $1.8 trillion USD (United States Dollar) in 2014. This ranks the country as the 11th largest economic power in the world. Canada ranks 13th in Purchasing Power Parity (PPP). The PPP for Canadian GDP comes in at 1.6 trillion. The growth rate for 2013 was estimated to be 2%. As one of the world’s wealthiest nations the Canadian economy is dominated by the service industry which employs 69.8% of the labor force. What separates the Canadian economy from other developed countries is the importance of the primary sector which is the extraction of natural resources. The oil and timber industries are the two most valuable for Canada as a whole. Canada still has an impressive manufacturing sector. Mostly located in the central portion of the country the aircraft and automobile industries are especially important to the economy. Industry engages 28.5% of the labor force. As a result of the country’s long coastline it is no surprise that Canada has the 8th largest fishing and seafood industry in the world on a commercial level. Another big industry for Canada is the entertainment business not only for location shooting and production, but for the software industry as well. What makes an investment in Canada easier to decide is the number of issues that makes the country a good proposition. Corruption is not tolerated in Canada. The government is run honestly and efficiently. The judicial system has a faultless record of independence and transparency. The rights of property whether tangible or intellectual are vigorously enforced. Canada attempts to encourage business development and expansion by keeping the corporate tax rate at just 15%, one of the lowest in the world. The top federal income tax rate has been reduced to 29% with the overall tax burden at 31% of GDP. This include a Value Added Sales Tax (VAT) and property taxes as well. The Conservative led government of Canada is attempting to balance the national budget by 2015. As a result, government expenditures are declining. They are now at 41.9% of domestic output. Public debt is equal to 86% of GDP. Business regulations in Canada are done efficiently and transparently. The incorporation of a business takes just one step and can be done in less than a week. There is no minimum investment requirement of capital and licensing is not overly complicated. The labor market is still flexible and costs for employment are not excessive. There is a nationalized healthcare program in place that is well regulated so that is not an issue if an investor would like to open a business in Canada. If one is interested in the energy or agricultural sector there are substantial government subsidies provided. Although some foreign investment may be screened, Canada is in the process of unilaterally eliminating tariffs on many inputs. As a result, the average tariff rate for the country is only 0.9%. The government is always negotiating new trade agreements. The financial sector although dominated by six major banks is still competitive by world standards. The Canadian dollar is stable with inflation running at an annual rate of 2.36% as of June 2014. The currency is continuing to appreciate in value, thanks largely to increasing exports in the energy sector. The unemployment rate of 6.9% as of March 2014 is still declining as the economy continues to improve. However, there is a great deal of variance on the rate depending on the region. It tends to be lower in the Prairie Provinces and higher in the Maritimes. The total labor force is about 19 million. 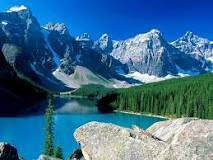 Canada is the 2nd largest country in the world in geographic size. It is 9,984,670 km2 in area which is the equivalent of 3,854,085 square miles. The country possesses abundant water resources. The total population of the country is estimated between 35 and 36 million making it the 37th largest in the world. It is also because of the vastness of the country, the 228th in population density in the world. In 2010 the American middle class long the most affluent in the world, became tied with Canada. In 2014 Canada has pulled ahead. In 2000 after tax middle class incomes in Canada were way behind the United States. In just 14 years Canada has catapulted itself to the number one status. This is evidenced somewhat by the rapid rise in the nominal GDP per capita, rated 11th in the world and PPP per capita rated 9th as of 2014. GDP per capita for Canada is estimated at $49,838 USD and $44,656 USD respectively. The major industries of Canada are chemicals, fish products, food products, natural gas, paper products, petroleum, processed and unprocessed minerals, transportation equipment and wood products. The major export partners of Canada are the United States with the 73.2% of the total. It is followed by the EU at 4.6%, the United Kingdom 4.3% and China at 4.3%. The remainder of major export partners are Germany with 3.4% of the total, and Israel at 3.1%. The total value of these exports were estimated at $463 billion USD in 2012. Major exports include aluminum, aircraft, chemicals,crude petroleum, electricity, fertilizers, industrial machinery, motor vehicles and parts, natural gas, plastics, telecommunications equipment, timber, and wood pulp. Major imports consist of chemicals, durable consumer goods, crude oil, electricity, machinery and equipment, as well as motor vehicles and parts. International trade makes up a large part of the Canadian economy, particularly in natural resources. As late as 2009 agriculture, energy, forestry and mining exports accounted for 58% of Canada’s total exports. These commodities accounted for 30% of the total GDP for the country. Including imports Canada is the 8th largest trading nation in the world. Foreign Direct Investment is estimated to be between $500 billion and $600 billion USD. The Gross External Debt at the end of 2012 was $1.326 trillion USD. The public debt was estimated to be between 500 and 600 billion which would be 33.8% of GDP as of 2012. Revenues and expenses for the government are as stated earlier are moving toward balance in the $700 billion USD range. Total government debt is the lowest in the G8 which is the leading developed countries in the world. Foreign Reserves were estimated to be close to $66 billion at the beginning of 2012. The aforementioned statistics give Canada an AAA credit rating for both domestic and foreign categories. Canada has a high private to public ratio of property of 60:40. Canada is a world leader in the production of resources including gold, diamonds, lead, nickel and uranium. Increasingly crude petroleum is becoming more important with Canada having the worlds 3rd largest proven oil reserves at (173 billion barrels), after Venezuela (298 billion barrels) and Saudi Arabia with (266 billion barrels). Canada is one of the few developed nations that is a net exporter of energy. 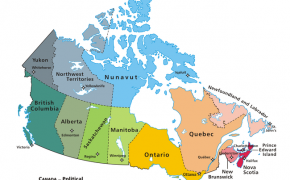 The importance of natural resources in the development of the Canadian economy has allowed a great deal of regionalism to develop among the 10 provinces and 3 territories. Tourism is becoming an increasingly important component of the economy. Travelers will find a clean, efficient and beautiful country with incredible natural beauty as well as a variety of cultures. 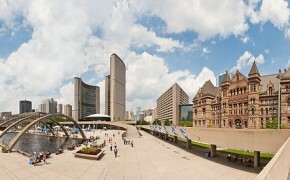 Major cities like Montreal, Toronto and Vancouver are very cosmopolitan with numerous modern amenities. Casino gambling is a fast growing part of the tourist industry. It is providing billions in profits and tens of thousands of jobs in Canada. Canada is also one of the world’s largest suppliers of agricultural products particularly of wheat and other cereal grains. Major markets are the United States and Asia. Canada is still waiting for a full recovery in business investment and exports in general, but much of that is dependent on more economic growth in the United States. Recognizing this, the Canadian government has been active in promoting better trade and investment agreements with The European Community and a number of countries in Latin America and Asia. Canada possesses endless investment opportunities from real estate, agriculture, mining, forestry, high tech, manufacturing and industry. Business possibilities exist in abundance across all main sectors of the economy. There is a large enough internal market to support a domestic market initiative but the export market would be lucrative as well. Despite a strong reliance on access to markets in the United States, Canada will remain an excellent place for investment in the years ahead as the economy becomes even more diversified.